Anxiety is often linked with restless leg syndrome, but many are unsure which comes first. Does anxiety cause RLS? Or does RLS cause anxiety? Restless leg syndrome is complex health disorder. It's causes and origins are not entirely clear, and some physicians debate the idea that RLS itself may actually be separate disorders that all cause the same symptoms. It's also been shown that RLS symptoms can become better or worse based on lifestyle choices, mood states, and more. One of the issues that is currently under investigation is the link between restless leg syndrome and anxiety. Anxiety, and related stress, does appear to be a common comorbidity of those with restless legs. However, there is some debate over how anxiety and RLS are linked, and researchers are not clear how or why RLS may be caused by anxiety. At the Medicine Faculty of Maltepe University in Turkey, researchers decided to study the comorbidities of RLS and other known diseases. They found that of 72 patients with RLS, 52% experienced some degree of depression, and 47% suffered from diagnosable generalized anxiety disorder. Those numbers are much higher than the rest of the general population, and this comorbidity has been confirmed in several studies about the issues with RLS and mental health. Another study looked at those suffering from secondary RLS (RLS caused by other factors, rather than its own independent disorder). They found that anxiety levels could be predicted in diabetes patients depending on which diabetes patients had RLS and which did not. Yet another enormous study of 1071 patients conducted by the Johns Hopkins University School of Medicine confirmed these same findings – that those with RLS appeared to be at greater risk for anxiety disorders. Does something else cause both anxiety and RLS? The answer to these questions is significantly less clear, and something that researchers have been widely unable to pin down. It's unclear if there is any cause and effect between anxiety and RLS. It's believed that anxiety may contribute to RLS, but it's not clear how, or whether or not the person has first developed RLS symptoms. What is known is that anxiety causes a great deal of physical stress, and stress can be linked in some potential ways to RLS. Stress may affect dopamine levels. Stress may lead anemia and other issues. 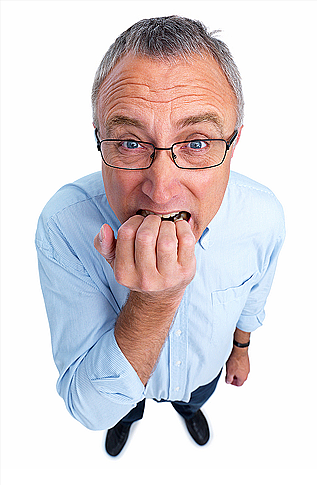 Stress may otherwise damage nerves. Anxiety is stress, caused by anxious thoughts. It's possible that the stress brought on by persistent anxiety makes one more susceptible to RLS symptoms. It's also possible that the two are not connected, but that anxiety contributes to the symptom experience. RLS is a spectrum disorder, meaning that some people may barely feel any RLS at all, while others experience a painful need to move that is overwhelming. 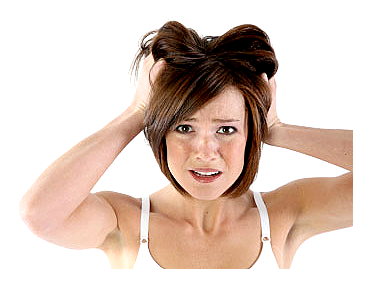 Anxiety – especially panic disorder – can cause what's known as hypersensitivity. This is when an individual is overly attuned to their own body, in the sense that they can and do feel problems that others without anxiety may never notice. This may also contribute to the way the symptoms are experienced and their overall severity. Those that have anxiety may experience what would otherwise be weaker RLS in a more overwhelming way, because they're unable to take their focus of the symptoms. It's unclear how this affects people at night, when RLS symptoms are often at their worst, but it may be a contributing factor. Anxiety can cause restlessness at night as well, and it's possible that this makes the main symptoms of RLS (poor sleep quality) more pronounced. Finally, anxiety itself tends to cause both an increase in muscle energy (as a result of adrenaline rushes) and fatigue. Both of these may have some link to the severity of your RLS. It's also possible that restless legs causes anxiety, rather than the other way around. Support for this theory is based on the idea that RLS leads to poor sleep quality, and poor sleep quality is a known contributor to stress and anxiety. The belief is not that RLS itself necessarily causes anxiety (in that RLS is not a disease that leads to any changes in psychiatric function per se). Rather, that the main symptoms of RLS – constant uncomfortable feelings when the person is getting ready to rest that force them up and about, as well as the inability to get a good night's rest – may contribute to overall anxiousness that could get worse as the disorder continues. This is the most popular belief in the medical community, but it does seem to disagree with one other known connection with anxiety – namely, that the more an individual controls their anxiety, the weaker RLS symptoms appear to be. This would contradict the belief that RLS causes anxiety. Nevertheless, the idea that RLS is the reason for anxiety in most patients remains a popular one. Scientists have provided other potential explanations between anxiety and RLS. One is medicine. It's possible that many of the medicines used to treat RLS lead to anxiety, and vice versa. Many medications can cause anxiety, as well as nerve disturbances, as RLS itself has been seen in several patients as a result of various medications. All of those are risk factors of RLS, and all of those are both more likely in those with anxiety and contributors to anxiety symptoms. It's also possible, although it appears unlikely, for anxiety not to actually be connected to RLS. Rather, some believe that the symptoms are simply so similar that they receive a similar diagnosis, despite being different diseases. Anxiety, even at night, can cause genuine restlessness and poor sleep quality – issues that are experienced by those with RLS. Furthermore, anxiety itself can create tingling and movement sensations in the legs as symptoms of the nervousness people experience with their anxiety. If this is the case, then the problem is with diagnosis, not with RLS itself. More research will be needed to discover the likelihood of anxiety and RLS being completely unrelated conditions with incorrect diagnoses. Until more research has been completed, it is not clear whether anxiety causes RLS, RLS causes anxiety, or how the two are related. Interestingly, however, there is substantial proof that reducing anxiety is a helpful tool for relieving RLS symptoms. So while no direct link has been shown, those that are trying to relieve their RLS should try to control their overall stress and anxiety levels as best they can.